The Governors (5-0) have won their past three matches by a score of 7-0 and have dropped only one set in singles over the same span. The Govs have not dropped an individual doubles or singles match since the opening weekend of the season back on January 20th. After the 7-0 romping of Cumberland on Tuesday, Lidia Yanes Garcia, Claudia Yanes Garcia, and Tatiana Lopez each remain undefeated in singles this spring (5-0). Honoka Nakanishi also won her first singles match in her first attempt, winning 6-0, 6-1 at No. 6 singles. Lopez and Nakanishi have also been the most effective doubles pairing for the Govs, as the duo is 3-1 through five matches and was also leading 5-3 at No. 2 doubles against Cumberland. The Central Arkansas Bears (3-3) and the Govs will meet for the second consecutive season. Last season, the Govs fell on the road, 4-3, but had to play with only five healthy players, giving the Bears wins via default at No. 3 doubles and No. 6 singles. Lidia Yanes Garcia, Fabienne Schmidt, and Helena Kuppig all won singles matches to keep it close, but could not overcome the injury-induced deficit. The Bears have also been a staple at APSU’s Fall Invitational. 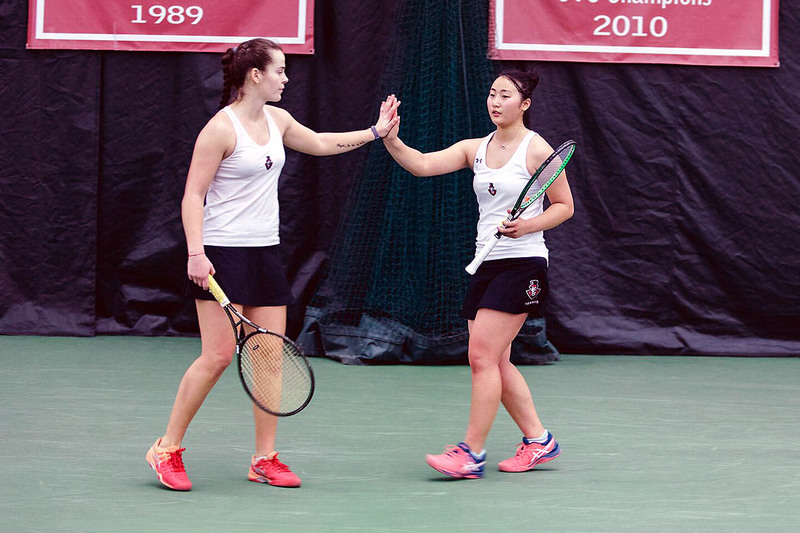 In the tournament that was held last fall, the Govs went 6-1 overall across doubles and singles matches. Schmidt went 2-0 in singles and doubles against Central Arkansas opponents, while Lopez also went 2-0 in singles. Central Arkansas has had some ups and downs to start the season. After winning their opening two matches, they nearly pulled off an upset against nationally ranked Auburn, losing 4-3. Since, the Bears have lost two of three, including a 4-3 decision against Belmont. Stay tuned to @AustinPeayWTN on Twitter for all the latest updates and stories regarding the team.